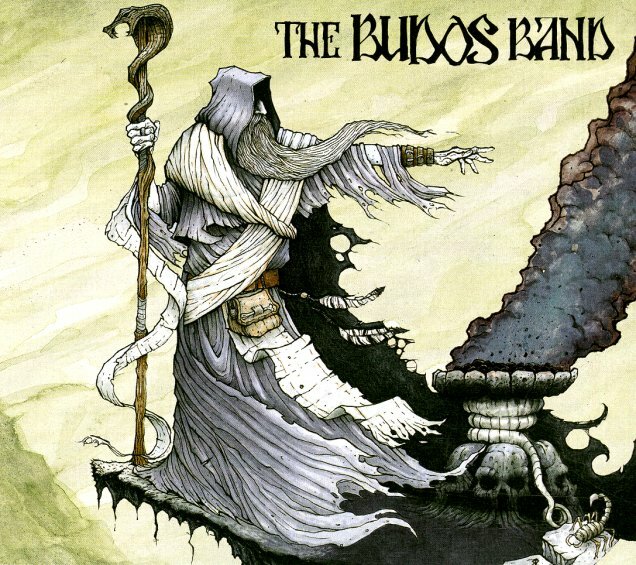 Some of the deepest, heaviest work we've ever heard from the Budos Band – as you might guess from the album's dark title and cover! There's a bit of a heavy metal look to the package, but the sounds within are still the righteous funk we've always loved from Budos – yet are also inflected with a very slight bit of trippy elements this time around – a touch of fuzz on the guitar, or cosmic echoes on the keyboards – which really balance out strongly with the group's bold horns and razor-sharp drums! The slight changes make for a more sinister sound than before, and show that these guys continue to be one of the most forward-thinking funk bands around – never content to just rest on the laurels of their great musicianship, but always leaping ahead with new ideas. Titles include "Shattered Winds", "Black Hills", "Magus Mountain", "Into The Fog", "The Sticks", "Burnt Offering", and "Turn & Burn". © 1996-2019, Dusty Groove, Inc.